Lauren is a solicitor working in our Wills, Trusts and Probate department. Lauren provides advice on a whole range of Private Client issues which include Wills (including tax planning and protection Wills), Lasting Powers of Attorney, Equity Release, Estate Planning, Grants of Probate and the Administration of Estates. 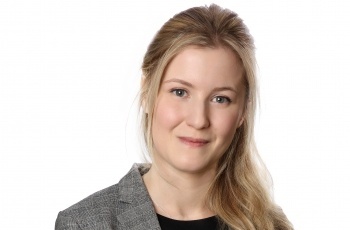 Lauren joined Clapham & Collinge in August 2011 having graduated from the University of East Anglia with a First Class Honours degree in Law and the Prize for the Best Performance in the Final Assessment for the Degree of Bachelor of Laws. Lauren attained a distinction in her Legal Practice Course, which she completed in June 2013. She was awarded the Cambridge and District Law Society Prize for the best overall performance in the compulsory subjects and the Cambridge and West Suffolk Resolution Prize for the student with the best mark in the Family Law elective. Lauren qualified as a solicitor in January 2015 and she is a member of the Society of Trust & Estate Practitioners (STEP) having passed the diploma with a distinction. The STEP diploma involves sitting exams in respect of Administration of Estates, Administration of Trusts, Trust & Estate Accounting and Taxation of Trusts & Estates. Lauren regularly speaks at our legal briefings to provide important legal updates to individuals, professional advisers and business groups. The Legal 500 United Kingdom 2017's guide to outstanding lawyers nationwide recommends Lauren for her practice area Personal tax, trusts and probate. An excellent service. Thank you Lauren for all your help and guidance. We were very satisfied with the service you provided. Lauren Abbs was very professional.